Dogs and Cats want to look fancy too! Nice coat is a supplement created specifically to make pets happy with their look, and their owners proud of their gorgeous animals! Remedy uses herbs that are known to assist pets and their owners in growing and supporting great-looking fur! Great taste enjoyed by the pickiest eater. 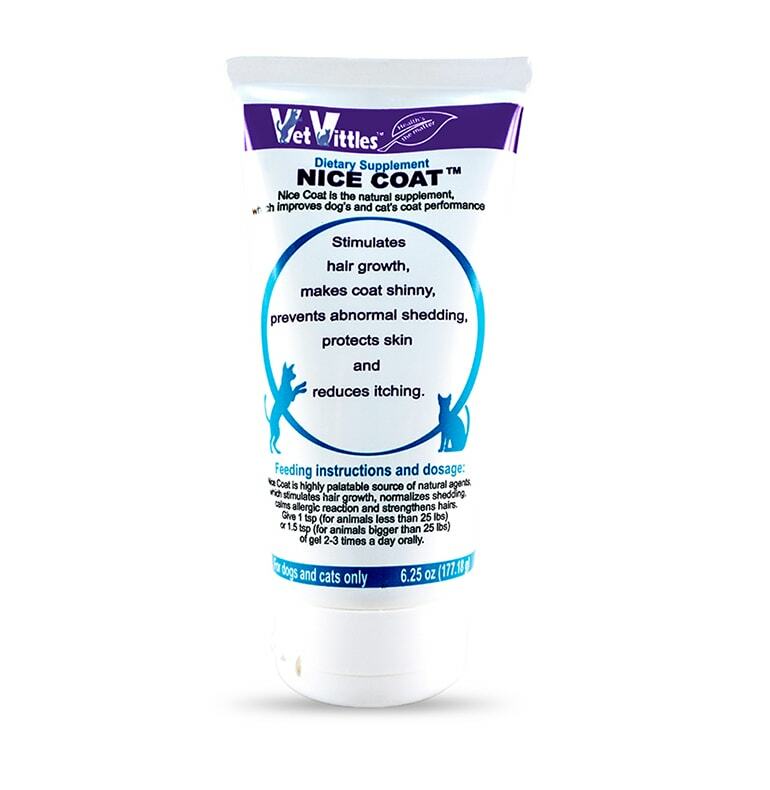 Nice Coat is an herbal formula in a gel form factor. It can be added to any pet-food or given orally. 100% natural herbal formula! No harsh chemicals, or dyes! Honey, gelatin, mixed tocopherols, ascorbic acid and herbal remedies: ashwagandha root, bee pollen, damiana herb, gotu kola herb, kelp, marshmallow root, milk thistle seed, neem leaf, shave grass, white oak bark. Give 1 tsp (for animals less than 25 lbs) or 1.5-2 tsp (for animals bigger than 25 lbs) of gel 2-3 times a day orally.